Chapter 3 is about one of our barn favorites, Chaps. We acquired Chaps from a friend whose daughter was no longer riding. He had been competing in eventing and dressage quite successfully for some time. When he arrived it seemed that using him as a lesson horse wasn't using him to the best of his abilities. Chaps is very well trained, what many would call a "push button" lesson horse. He was great on trail rides. I think because it reminded him of cross country. Chaps loves to jump cross country and often surprises riders with how forward, confident and in control, he is when jumping outside of the ring. Lesson number one from Chaps. Is that if a horse really enjoys his job, he isn't going to forget how to do it. 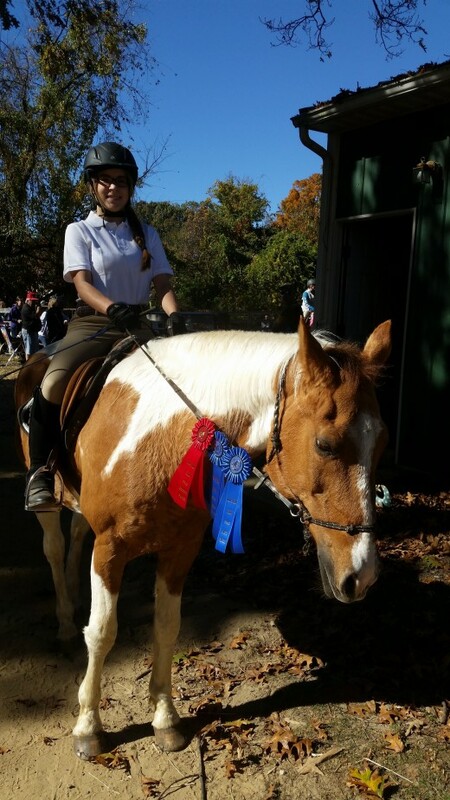 Even though it has been years since Chaps has been an event horse when you take him outside of the ring to jump, or even just take him on a trail ride. 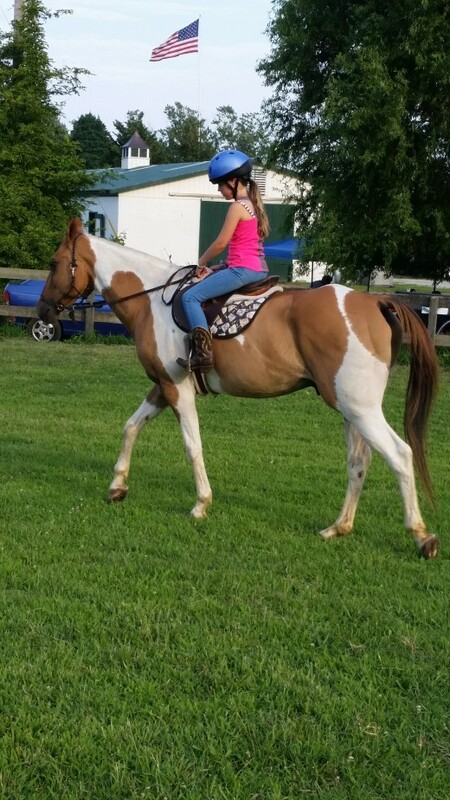 He is a much different horse than when you are doing beginner lessons in the ring. I have tried to explain this to my students beforehand, that they should expect him to be different when doing cross country jumps since he likes it. Not to mention is experienced and good at it. Many times they just don't understand until they feel it for themselves. It is a good feeling though, a feeling that gives the rider confidence once they realize that though he is acting differently than normal. It is just because he is confident and back in his element. The next lesson from Chaps is that not all horses are friendly and cuddly on the ground. Not that he is mean or overly aggressive, but he generally looks like a grump on the ground. He doesn't seem to like being groomed since he associates it with having to go out and work. 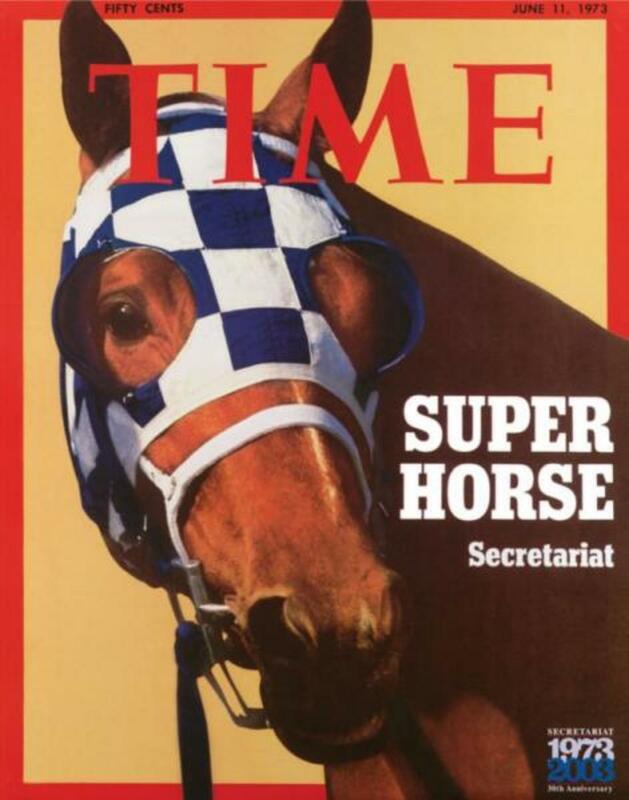 He has been known to nip at someone that he thinks he can intimidate while they tack him up. He makes it perfectly clear that he is not happy about having to go out to work. Students tend to overreact in the beginning when working with him on the ground. Rightfully so, they are nervous about being nipped and his ears are flat against his head a lot of the time. Though he bears watching, any horse who is acting this way does, students, learn quickly known that Chaps is bluffing. The more you react to his grumpy behavior the worse he acts. If you just ignore him and go about your business of grooming and tacking him up he realizes he can't scare you and goes back to sleep on the crossties. This is a hard lesson to learn, to be confident and ignore a horse that is acting grumpy... but it is an important one. 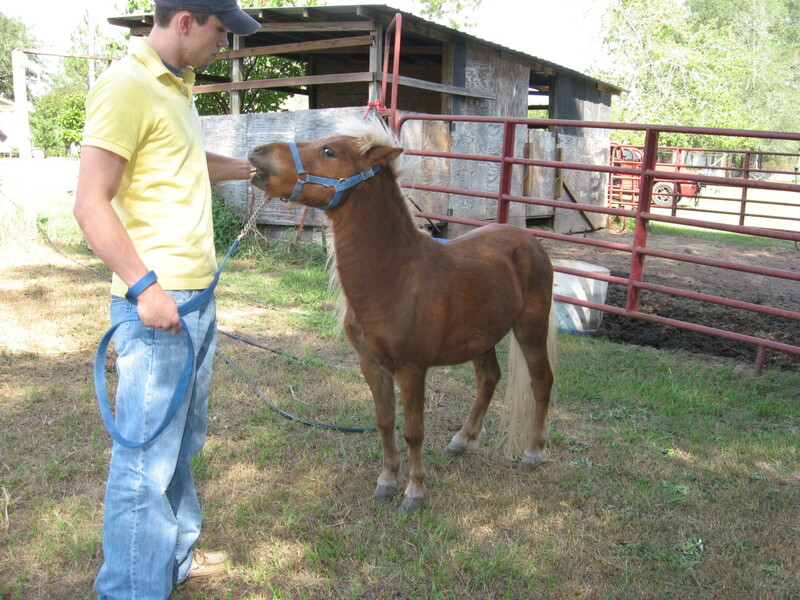 Chaps teaches the people around him how energy and vibes affect horses. How much they are aware of them. Chaps can tell in just a few seconds if the person that is working with him is self-confident. It gives the students confidence when they realize that even if they can just fake confidence, chaps will realize they aren't afraid and behave himself. Lesson number three that I have learned from Chaps, is that as much as the kids like to get to ride a push-button horse, in the beginning, it can sometimes backfire. Despite his grumpy demeanor in the barn once he is in the ring he is all about doing his job. He is obedient and even the littlest and least confident riders think he is easy to ride and they get confident quickly. The only problem with this is that it gives them a false sense of what riding horses is supposed to be like. Chaps will take the rider around like on a carousel and they won't have to worry much about guiding him, he will take them around. They can focus on themselves. Doesn't sound like a problem? Well, it is not as long as they continue to only ride Chaps. Which would not be beneficial for them, it would give them a false sense of confidence. 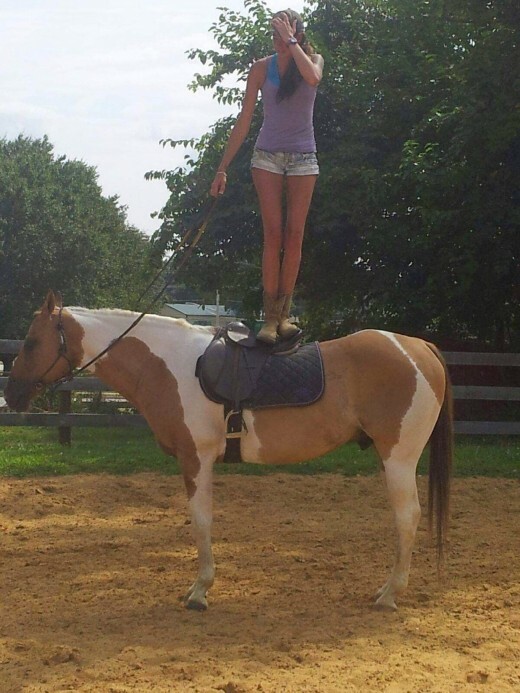 Chaps does not do any of the typical lesson horse tricks. It can be a real shock to a rider who is very confident to get on another horse and have to really ride. Not that any of my lesson horses are bad, they certainly aren't they are wonderful. 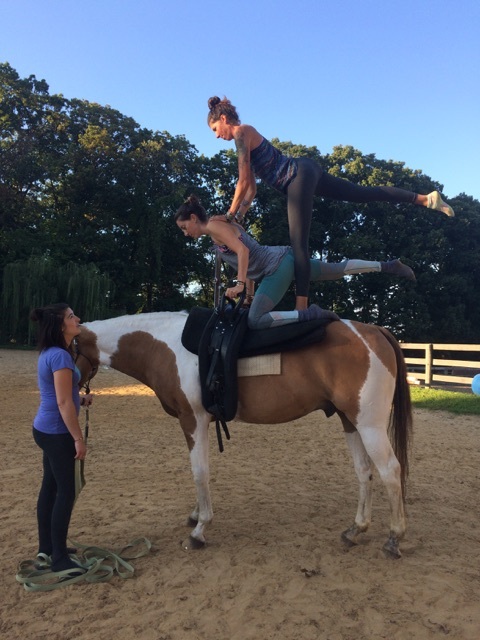 Many of the others though do know the lesson horse tricks and will do what they can to test their rider. I have learned how to use Chaps in lessons, without letting anyone get so comfortable that they have a hard time riding other horses. Bitless bridles are a great thing on a lesson horse! When Chaps first arrived. He was so finely tuned that with kids riding him and their hands moving a little more than they should, he was super sensitive. His head was up and down and all over the place. Eventually, he just went behind the bit to avoid it and just went around with his nose on his chest. I didn't want to ruin all the great training he had in the past. So started looking for other options. That is when I discovered the bitless bridle. I know there are many different varieties of these. The one I use basically is a rope halter with a ring on each side to attach your reins to. It is perfect for Chaps, he goes well with it. Still stops and turns just as well, not to mention those who are advanced enough can still get him to go in a frame in it. Since finding one I like, I now try to use it on as many of my lesson horses as I can to avoid them having to get their mouths pulled on unnecessarily. Also, the bitless bridle is cool because for younger students it is easier to put on. They don't have to worry about getting a bit in their mouth, just put it on like a halter and clip it closed. 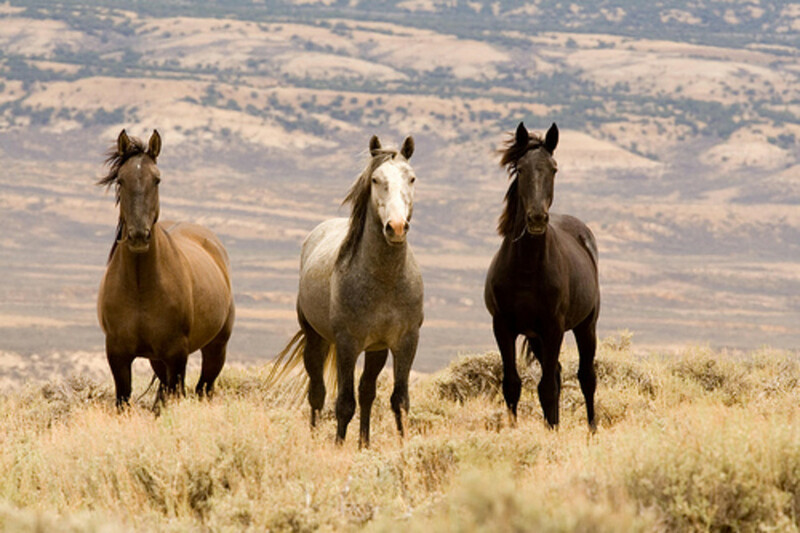 Horses that can have long periods of time off and still behave when you use them again are worth their weight in gold. 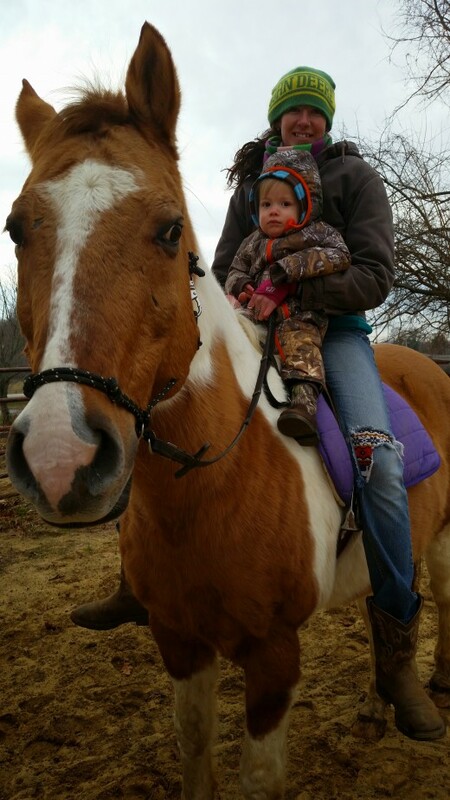 Chaps is the same horse whether you ride him every day or once every six months. He is always reliable. 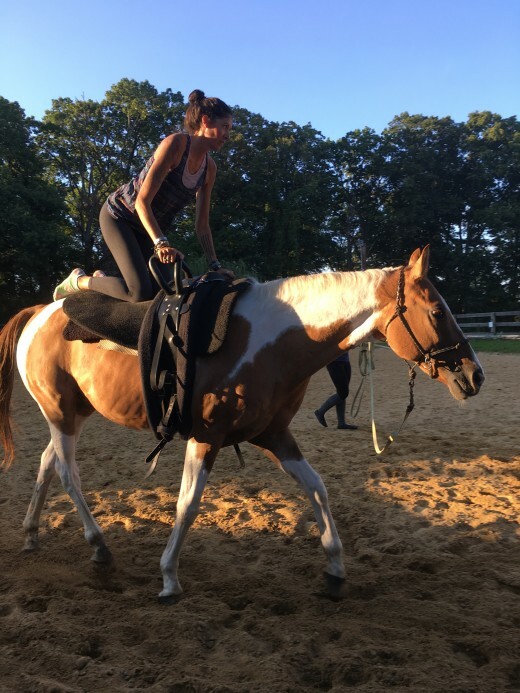 Some of my other lesson horses are awesome, but they definitely take a bit of time to work back into the program if they take a lot of time off for whatever reason. 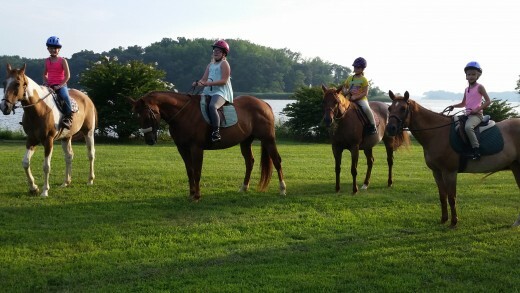 Running a riding program for kids and beginners, you really appreciate horses like this! Chaps is at the bottom of the pecking order out in his field. He always moves out of the way of the other horses and if there is going to be a horse get bit or kicked unfortunately it's him. Not that I would make it a non-negotiable when looking for a lesson horse, but it seems that his low standing in the pecking order makes it easier to use him in lessons. Obviously, he has had a lot of training over the years, so he listens well. The problem is in a group lesson with beginners, there will inevitably be times when the horses get too close together. 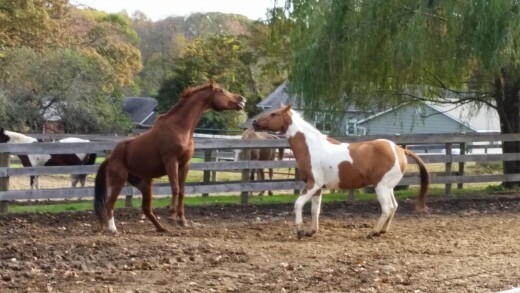 Since Chaps is wary of other horses he is very good at staying out of the way. I have never had to worry about him getting into an unsafe situation by getting to close to another horse in a lesson. 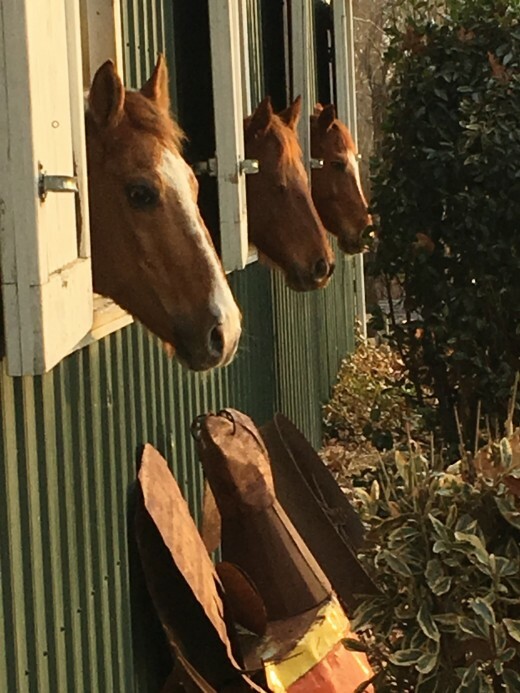 Even with kids moving the horses around the barn in close quarters and not being careful, Chaps wanting to stay away from other horses keeps him out of trouble, and the kids safe. Chaps has taught me that some horses just don't do well on stall rest. Despite the fact that he doesn't like the other horses in the field, when left in the stall on stall rest he doesn't handle it well. At all! Over the years he has had a few minor soft tissue injuries that required stall rest. Despite him seemingly trying to stay away from other horses, when in the barn alone he hates it. Even if you put other horses in with him he paces and trots in circles in the stall. Only making things worse for his healing. I have learned from Chaps that he is better off resting out in the field since he keeps to himself and is relaxed. Stall rest just freaks him out and works him up. He heals best just resting in the field. Chaps has taught me that the horse will tell you what is best for them. You just have to listen and pay attention. Chaps has taught me the importance of evaluating every aspect of the horses working for you regularly. Not just their physical soundness, but the mental state as well. 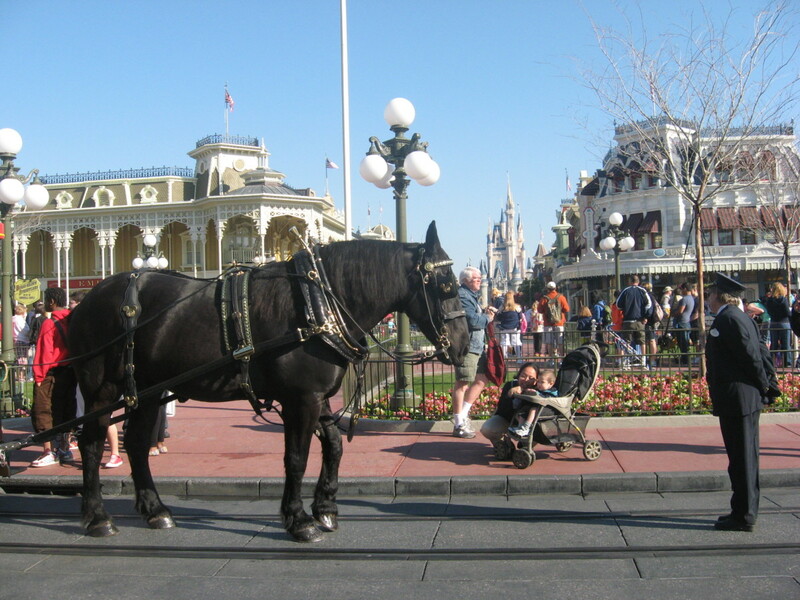 Being a lesson horse can be monotonous and boring, which can make them lose their will to work. It is easy to use Chaps too heavily in lessons because he never complains, he just goes around and around as many times as I ask of him. With some of the other horses, it is quite easy to know when they have had enough, they tell you. Chaps does not, well not by misbehaving at least. Earlier this year Chaps started doing little things like stopping in front of teeny tiny jumps. Which is so unlike him. He will carry you to a three-foot cross country jump that you put him to in the wrong stride and still jump. For him to stop in front of a tiny jump was unheard of. He was telling me it's time to back down on his workload a bit. Make the younger horses take on the more advanced riders and leave him for the beginners. I hated to think that he had to get to the point of stopping at a jump before I realized that. Chaps is far from retirement, but he was just trying to tell me that I need to take it easier on him from now on. The moral of Chap's story is that a horse like him is worth its weight in gold. 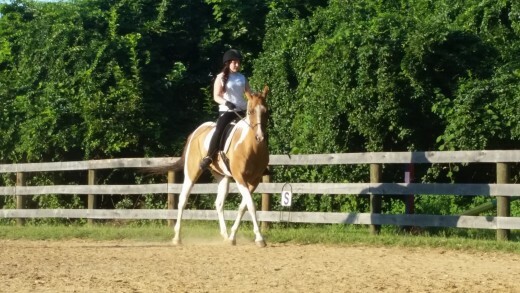 That having a confidence booster lesson horse is great to balance out the more challenging horses. I have to remember not to let any student get overly confident riding him, in the end, that will just be a setback. The moral of Chap's story is that it is my responsibility as an instructor to know how to best manage my horses' work schedules. I can't do my job without horses like him, so I owe it to him to use him fairly and make sure everyone that rides him knows how lucky they are.